A classic dish of the Basque Cuisine. 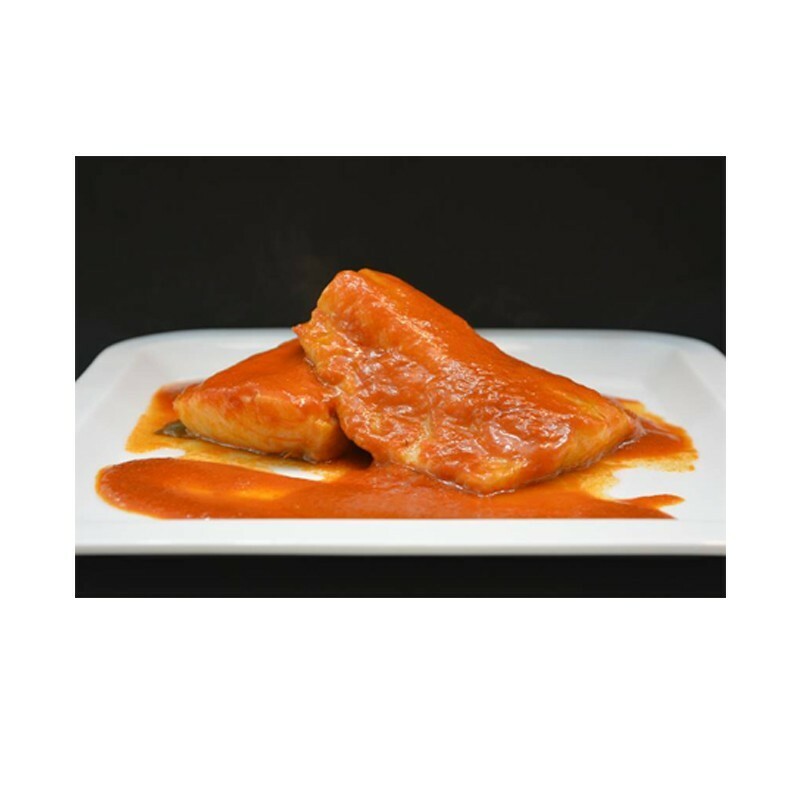 Pre-selected Atlantic codfish with a traditional Basque sauce, prepared with natural ingredients. Bacalao a la Vizcaína' or codfish in Biscayan Sauce is a traditional dish in Basque Country gastronomy and, without a doubt, one of the most popular recipes of its extensive cuisine. Salted codfish is needed to prepare this dish which has to be desalted with water, though it may also be made with fresh codfish. The world-famous Biscayan sauce is sautéed with onion and Basque choricero peppers, which have been previously rehydrated, peeled, mashed and simmered. The Basque choricero pepper is the most important ingredient in the recipe.